Sounding so good has never been this easy PR7 is ultra-portable linear PCM recorder that provides effortless high-quality recordings whenever and wherever you need. 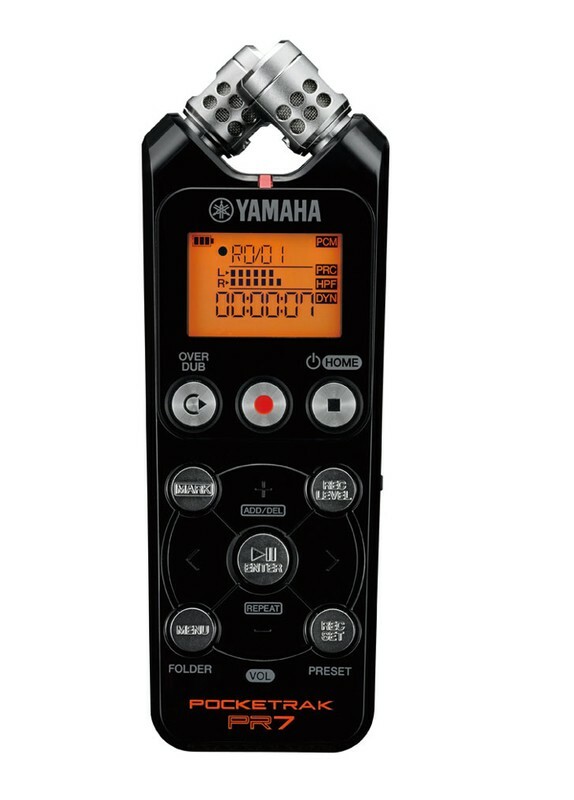 The POCKETRAK PR7 is Yamaha's newest, ultra-portable linear PCM recorder that provides effortless high-quality recordings whenever and wherever you need. Equipped with a newly developed crossed XY stereo microphone, the PR7 captures high-resolution stereo recordings, achieving consistent quality and natural sound. An invaluable tool for any musician, the PR7 offers essential practice functions such as an on board tuner and metronome, as well as powerful recording functions like overdubbing and marker editing - all easily accessed via a simple, intuitive interface. It even features five optimized presets tailored to a variety of applications, so whether you're rehearsing, songwriting, attending a speaking engagement or making a field recording, achieving studio quality sound has never been so easy.